From outdoor wildlife to conservation, our programs align with Girl and Boy Scout standards! Join us for a 2-hour, in-depth workshop that fulfills most or all journey or badge requirements. 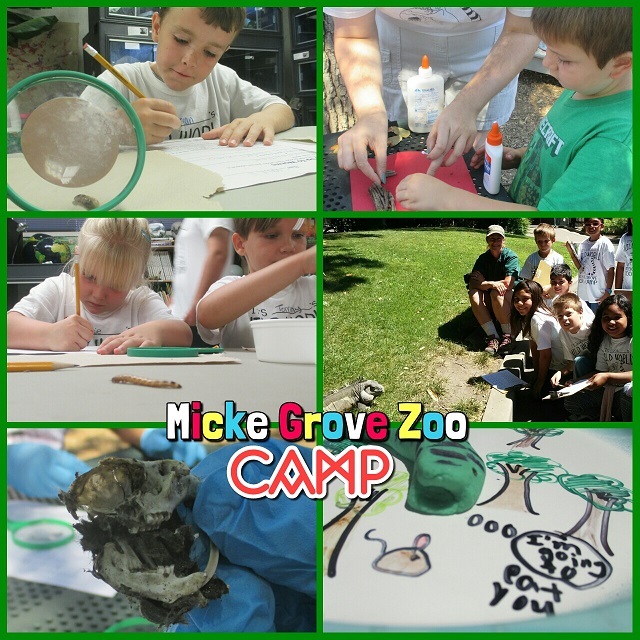 Scout programs include hands-on activities and supplies as well as admission to Micke Grove Zoo after the program. Schedule your own date with a minimum of 8 scouts. Program Availability: Saturdays year-round from 10AM-12PM. Alternate time frames may be available upon request. Fees: $15 per scout and 1 free chaperone for every 3 scouts attending. Please see the bottom of this page for information on Payment Due and the Cancellation/Refund Policy. GIRL SCOUTS: Daisies - Clover Petal (Using Resources Wisely), Rosie Petal (Make the World a Better Place), Flower Garden (It's Your World; Change It); Brownies - Three Cheers for Animals (Pet Care, Habitats, and Conservation), Senses, Bugs; Juniors - Gardener (Do It Yourself), Animal Habitats; etc. BOY SCOUTS: Cubs - Tiger Adventure (Pet Care, Animals, The Three R's); Wolf Adventure (Your Living World, All About Birds); Bear Adventure (Take Care of Your Planet, Sharing Your World With Wildlife); Webelos - Naturalist, Mammals, Forest, Scientist; Boys - Environmental Science, Reptiles & Amphibians, Bird Study, Insect Study, Nature; etc. Payment Due: A $50 non-refundable deposit is due when your reservation has been confirmed by a Zoo Representative. Once a confirmation has occurred, you will receive an invoice reflecting the balance due. The balance is due by no later than 7 days before the program date. Add-ons can be paid for with exact cash or check the day of the program; however, no shows or individual cancellations do not change the final balance due. Cancellation and Refund Policy: The final balance for a program minus the $50 deposit will be refunded for program cancellations received 7 or more days before the program date. Cancellations received after that will not be refunded. No shows or individual cancellations do not change the final balance due as listed on the invoice.